This set of immunology-related structures was created with an innovation grant from Shoreline Community College. Download the entire collection of immunology structures for the Shoreline Community College microbiology course by clicking the link in the next column. 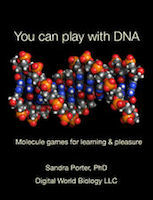 Collections can be downloaded in one step and viewed in the iPad version of Molecule World. Individual structures can be viewed in either version. Download individual structures using the links below.